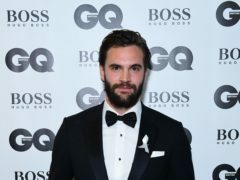 Vanity Fair star Tom Bateman has said he is not bothered by the ratings war between his drama and BBC political thriller Bodyguard. Kylie Minogue said she has found her Mr Right as she attended the GQ Awards in London. Dua Lipa took a walk on the wild side, stepping out in a daring leopard-print dress at the GQ Men Of The Year Awards. 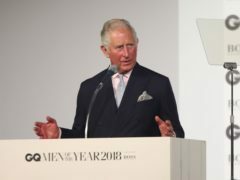 The Prince of Wales joked that he now had something to “throw at the burglar” as he was presented with a Lifetime Achievement Award by GQ. Jeff Goldblum, John Legend and Chris Hemsworth were among the stars who gathered at London’s Tate Modern for the GQ Men Of The Year Awards. The annual ceremony celebrates men and women who have helped to shape the world’s cultural landscape across style, politics, entertainment and sport during the course of the year. Rose McGowan said she was representing those without voices as she attended the GQ Men Of The Year Awards to pick up the inspiration prize.